Raw Art Works ignites the desire to create and the confidence to succeed, using the power of the arts to transform young artists' lives. Raw Artists offers 7 free arts groups to approximately 180 young artists in elementary through middle school. Over 70% of our young children are low-income and non-white. Most receive free lunch at school, many are from single parent families, and are immigrants or children of immigrants. Some are homeless. Some are primary caretakers for younger sisters and brothers and translators for their parents and grandparents who don’t speak English. At RAW there are NO MISTAKES, JUST ART! Our youngest artists come to RAW full of energy and lots questions about who they are, where they come from, and how to belong. Eager to share their dreams about their future, nervous about the violence they witness all too frequently, and often distrustful of people who look or act different from them, they soon discover that RAW is a place that lets them slow down, breathe, make friends, and be a kid. Many children come to us having been told that they have a learning disability or a behavioral disorder. These labels weigh heavily on such young children who regretfully tell us about all the things they can’t do. Our caring staff gives them lots of individual attention and support to help them prove that they can concentrate, communicate, create and achieve their goals. Mentored by teen RAW Chiefs, children commit to making good life choices. In a favorite Studio Time group project young artists created wire and fabric mobiles, into which they planted tiny “Seeds of Hope” messages representing the good things they hoped to grow in their lives. A project in the RAW Energy group explored the concepts of dark and light through an expressive art project addressing the question: “Who lights the way for you in times of darkness?” In another project, Lending a Hand, children worked in small groups to brainstorm what it meant to be helpful to someone in need. Their large and colorful three-dimensional paper hands, inscribed with words such as “Respect” and “Listening” were exhibited at the Lynn Museum. In 1988 Raw Art Works (RAW) was founded by art therapist Mary Flannery. 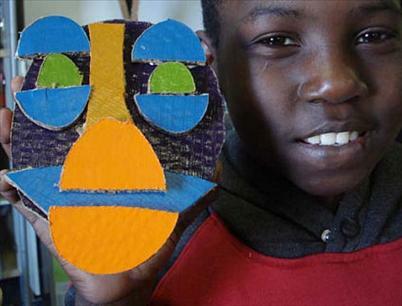 The organization won a contract with the Massachusetts Department of Youth Services to develop the first statewide art program for youth in prison. We witnessed how the power of art can help kids to both understand and express their emotions and to envision a better future. RAW’s current Executive Director, Kit Jenkins, joined RAW in 1989. Mary and Kit continue to lead the organization. Recognizing the need to help youth before they got into trouble, RAW Space was opened in Lynn in 1994 to serve at-risk youth, beginning with 16 teens from Lynn Alternative High School. In 1997 the RAW Chief program was born. RAW Chiefs are high school students trained to work side by side with staff to lead teen art groups. Then the teens' younger siblings began showing up, pleading to join the group, too. So RAW launched middle school programming. In 1998 eight and nine year olds were trying to sneak into the middle school program! So RAW created programming for elementary school children. By now 60 youth, age 6 to 18 are coming to RAW each week. In 1999 California-based filmmaker Joanna Lipper visited RAW and was so impressed with what she saw that she provided seed funding for the Real to Reel Digital Film School. In 2000 RAW won the Coming Up Taller Award of The President's Committee on the Arts and Humanities, as one of the top ten after-school programs for at-risk youth in the nation. In 2002 RAW began to fulfill a crucial need for one-on-one college and career support by introducing Project Launch which matches high school juniors and seniors with mentors from the community. Today RAW alumni are students or graduates of colleges and universities including Babson College, Boston University, Brown University, Bucknell University, Harvard University, Massachusetts College of Art, New York University, Pratt Institute, Rhode Island School of Design, Savannah College of Art and Design, University of Southern California and UMass. In 2005 Real to Reel filmmakers were commissioned by The Pernice Brothers, a Boston indie rock band, to create a music video for two of their songs. The videos air on MTV2. In 2005 RAW also received Bank of America's Neighborhood Excellence Award, which honors organizations nation-wide that are working to improve their communities, AND the Massachusetts Cultural Council's Commonwealth Award for Community. In December 2006 RAW successfully completed a $1.2 million capital campaign and now owns the 4-story building it rented for over 10 years. In 2008 RAW renovated the building and opened its gallery and film-screening space on the ground floor of 37 Central Square. Also in 2008 RAW’s Real to Reel Film School was named a Gold Star Project by the Massachusetts Cultural Council. In 2009 RAW was selected as a Social Innovator. RAW artist Thonah Ep won the state’s highest honor, the Commonwealth Award for Community Learning. Currently RAW serves over 1,400 children and teens every year in over 40 FREE programs that include visual arts groups, single gender groups for middle and high school girls and boys, Real to Reel Film School, Good 2 Go community art, and summer programs like VanGo - RAW’s brightly painted van which brings art-making right into Lynn’s neighborhoods. RAW is a “creative home” where youth aged 6-18 can explore difficult personal and community issues through the creation of art. RAW offers a continuum of over 40 free programs in the arts, including an award-winning film school, visual arts groups, single gender groups, mentoring and leadership development programs, community arts, and summer programs. RAW’s community-based programs are designed to create a range of service, providing increased opportunity and responsibility to children and teens at each developmental stage. This variety enables children and teens to spend years in our programs. We need support because we offer our art groups free. Children in Lynn face many challenges while growing up. The rates of poverty, crime, and school drop-out are among the highest in the state. RAW provides at-risk youth with: the consistent attention of caring adults committed to developing each young person’s talents and abilities; a community of peers that provides an alternative to gangs, drugs, violence and the life of the street; constructive ways for young people to express their feelings and deal with stress; and the opportunity to plan and carry out projects, while learning life-skills like problem-solving, effective communication, and conflict resolution. RAW Space, the studio in downtown Lynn, is open five days a week from 9 a.m. to 9 p.m., and occasionally on weekends. 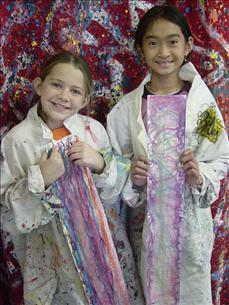 Art groups meet once or twice weekly during the school year. 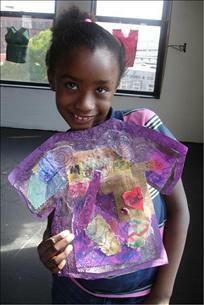 In the summer “VanGo” takes art-making projects into kids’ neighborhoods so those who can’t afford camp can have fun! RAW's continuum of free programs for youth aged 6-18 delivers unique value to the community. Kids can stay for years and even work at RAW. Younger children, mentored by teen RAW Chiefs, learn to set personal goals and to commit to making good life choices, all while having fun in a safe, vibrant space. Older youth at RAW develop the skills - leadership, communication, and conflict resolution – needed for academic and career success, express their creative voice, and positively impact the community. In Real to Reel teens master the use of sophisticated technology to tell their story through film. Boys in Good 2 Go work in the community to create inspiring public art. Art 4 Girlz and Women 2 Be participants learn through the arts to identify themselves as strong young women and to make life-affirming choices. Project Launch makes college possible for kids who did not believe they had a future. 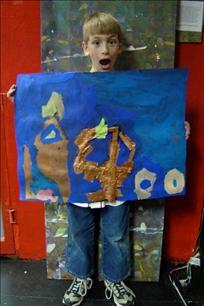 RAW's programs are primarily staffed by master's level arts therapists who are also professional artists. RAW also has a Clinical Supervisor who supports all program staff. This means that RAW can effectively serve kids who have serious clinical needs - needs that often do not surface until a young person has been attending RAW for several months and feels safe opening up. Almost no other youth art programs have the capability of addressing these kinds of needs in-house. Fifteen RAW Chief mentors support staff in groups for younger children. RAW also offers kids exposure to the arts outside of Lynn, thoughtfully selected to align with themes presented in weekly groups. Past “field trips,” which can have a transformative impact on young artists, have included: “The Art of the Teapot,” a study of the beauty of everyday objects, and the “Origami Now!” exhibit at the Peabody Essex Museum; a BCA theatre production of Toni Morrison's "The Bluest Eye"; a girls' group visit to the studios of women photographers to learn self-portraiture; attendance by film students at an Institute of Contemporary Art film screening of Francis Ford Coppola's latest film, followed by a Coppola-led Q & A session; and engagement by our boys' group in a discussion with Cornel West at a Harvard University lecture. In 1991 at age five Thonah arrived in the US from war-torn Cambodia. Thonah’s earliest memories involve learning the traumatic history of his family and country. His father could only draw pictures while his mother provided the painful words. Growing up in Lynn presented Thonah with many challenges -- including 36 gangs trying to recruit kids like him. Thonah found that the power of art could save him. In 2000 Thonah walked through the doors of Raw Art Works (RAW), where he quickly excelled. Now he teaches art at RAW. In 2009 Thonah won the state’s highest honor in the arts and humanities, The Commonwealth Award. Beyond his immense talent, what distinguishes Thonah is his generosity as a mentor to other artists. On any given afternoon you can find him at RAW, in the studio with a palette in hand, or on a skateboard having a conversation with another artist about their most recent struggle with a piece of art or piece of their life. He lives the art of being grateful and will thank all who help him along the way. Thonah says, "I make art because every time I delve into the world of creativity, I feel more of what it means to be a human. Art, creativity, imagination, and connections force me to be alive and all I can do is just embrace all the possibilities. 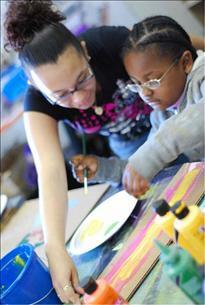 Art teaches me about life such as sensitivity, understanding, choice making, and forgiveness." Youth can get involved at RAW by assisting at our community events such as Third Thursdays and film screenings throughout the year. Also, some young fundraisers have created jewelry or other craft items, sold them at fairs, and have given the proceeds to RAW. We would welcome you for a tour of our gallery and the opportunity to look in on an art group in session. Over 1,365 school kids have played a continuous game of "art tag" -- creating a work of art, then tagging another school to be IT! what is the age limit for raw arts.